A pair of forward thinking entrepreneurs had an idea to capitalize on the most profitable sector of the candy industry while at the same time bringing technology and excitement to the antiquated candy vending industry. An all-star team was soon formed by searching for and recruiting the most cutting-edge IT engineers and proven veterans from the candy and vending machine industries. The team’s mandate: “To create a state-of-the-art candy experience that maximizes retail candy profits while at the same time capturing consumers’ attention like never before. The result: Sweet Amanda’s Automated Kiosk has garnered worldwide accolades and demand from around the globe. Today, the Sweet Amanda’s team is dedicated to continuing kiosk innovation and development while providing our customers and location partners with the best in support and service. What makes Sweet Amanda’s so different than any other vending solution in the marketplace is that we have “been there and done that!” Our founders and management team have decades of operating experience in both the vending and candy industries. Sweet Amanda’s top management has deployed, serviced, and managed thousands of vending machines dating back to Pac-Man and Pong. The team also includes veterans who have held high-level positions with global candy manufacturers as well as group of young IT engineers who are at the heart of our leading-edge technologies. 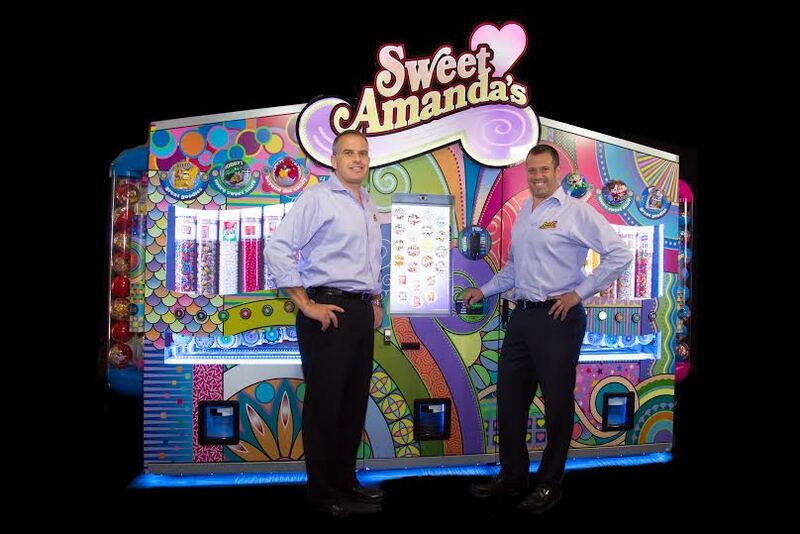 Whether you want to buy a Sweet Amanda’s Kiosk or become a location partner, knowing that Sweet Amanda’s originally designed its kiosks for its own use and deployment, you can rest assured that your operation will have the most unique, reliable, and easy to service automated candy machine in the marketplace.